Labour ministry will soon launch an investigation into the provident fund contributions made by Kingfisher Airlines for its employees when the carrier was functioning, Union Minister Bandaru Dattatreya has said. "We have not examined the issue so far. I will look into that. We will examine (all the issues)," Dattatreya told PTI. Beleaguered businessman Vijay Mallya, who is facing legal proceedings for allegedly defaulting on loans of over Rs 9,000 crore (Rs 90 billion) from various banks, is currently under scanner by multiple agencies, including CBI. An open letter written by women employees of KFA recently alleged that the company did not pay salaries, but kept depositing PF due to fear of action from the authorities. 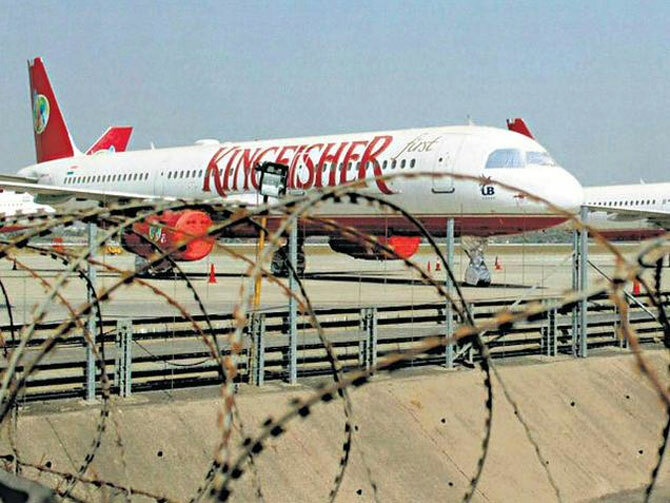 Former Kingfisher Airlines (KFA) pilot Captain Kedar Wagh said the defunct company owes him Rs 45 lakh towards his salary dues. He further said that many former employees are trying to come under one banner and start a legal battle for their dues. "We are trying to form a group and approach the Supreme Court seeking justice. We have received positive responses from over 900 former employees. We are in the process of gathering more (employees on the platform)," Wagh said. Meanwhile, EPFO's apex decision-making body, the Central Board of Trustees' (CBT), will meet on March 17 to take stock of the situation with regard to the investments the body made into index-linked ETFs (Exchange Traded Funds). According to Dattatreya, the result has not been encouraging for the past three to four months despite signs of optimism in the initial stages. "We (EPFO) have invested approximately Rs 5,000 crore in exchange-traded funds. For the first six or seven months, returns appeared to be better. After that, for two or three months, we don't see it as encouraging. Even then, we will have to wait and watch," he said. "There may not be profits in the short-term. Even then we must go ahead in a cautious way. CBT meeting will be held on March 17, we may discuss the issue in that meeting," the minister said. He further said that a meeting was held with portfolio managers and other stakeholders last week on the innovative methods to be followed for future investments, but no decision was arrived at.